All students must bring an extra T-shirt to use as a smock for art class. Tuesday, April 16th – Math Assessment on multiplication and division of fractions, multiplication and division of fractions with whole numbers, multiplication and division of mixed numbers with fractions, and multiplication and division of mixed numbers. Math Questions 1-14 in math notebook. Multiplying and Dividing Fractions Assessment tomorrow! Tuck Everlasting Chapters 22-25 Comprehension Check Questions – Answer 5 questions of your choice in your ELA notebook. Math workbook pages 509-510 Mid-Chapter Checkpoint. Complete any vocab blue book (unit 10) that you have no completed. We will review tomorrow! Science Textbook – Continue reading chapter 3 and answer review questions 1-3 on pages 113 and 115. No homework! Queens Zoo trip tomorrow. Chaperones, please be at the school at 9 am. Social Studies: Smallpox worksheet. Questions 1-3. ELA: Tuck Everlasting Chapters 18-21: Vocabulary in Context worksheet. Directions: For each vocabulary word (in bold) first indicate the part of speech. Then indicate (by underlining) which words in the sentence give you clues to the word’s meaning. Write your own definition for the vocabulary word based on those clues. Finally, look up the word and write the actual dictionary definition of that word. Religion workbook: Chapter Test 5 on page 78 due tomorrow, April 3rd. ELA Packet: Tuck Everlasting Chapters 18-21: Dialect worksheet. Read each example of dialect from the novel. Rewrite each example so that it makes better sense to you. Only answer numbers 1, 2, and 3. Social Studies Worksheet page 36: Lesson 1 – The Voyages of Columbus. Religion workbook: Chapter Test 5 on page 78 due Wednesday, April 3rd. Social Studies Textbook Page 138. Answer questions 2, 3, and 5 in your notebook. In your social studies notebook, define the following vocabulary terms and people: Amerigo Vespucci, Ferdinand Magellan, Vasco Nunez De Balboa, Christopher Columbus, King Ferdinand, Queen Isabella, Colombian exchange, colony, expedition, West Indies. You may use your social studies textbook as well as the internet to define these key terms. Religion WB Read pages 72 and 73. Complete activity on page 73. Social Studies Textbook: Read pages 134 and 135. Answer the review questions on page 135. In your notebook, list 4 key facts you read in the passage that you feel are the most important. See you at report card conferences! Vocabulary (blue book) pages 94 and 95. Math Workbook page 438 questions 1 and 2 only. Science Fair Project Approval Form Due Tuesday, March 19th. $1 Green St. Patrick’s Day dress down tomorrow! Ballroom Dance Show tomorrow! Dress up for 5th grade! Science – Answer Questions 1-5 on Google Classroom. You may use your textbook as well as the internet to research the questions. Math workbook (Volume 2) pages 387 and 388. You do not have to do number 12. Answer the following questions in your ELA notebook: 1.) Describe the Tuck’s home. 2.) How does Winnie feel about the Tuck’s home compared to her own? What is similar/what is different? 3.) Why do you think Winnie doesn’t call out to the Yellow suit man for help when she is being kidnapped? 4.) What do you think would happen if all of the townspeople found out about the spring? 5.) If you were Winnie, would you choose to drink from the spring? Why or why not? Review Unit 8 (blue book) Vocab Quiz tomorrow! Complete math review questions in your math notebook. Using the ELA Limerick worksheet you learned about today, create two limericks in your ELA notebook using at least two vocabulary words from Unit 8. We will share in small group tomorrow! Math word problems (addition and subtraction of fractions) and addition and subtraction of mixed numbers worksheet. Vocab (blue book) pages 82 – 83. Science Textbook page 81 Questions 1, 2, and 3. Math Workbook Volume 2: pages 355 and 361 NOT NUMBER 12. Science – Record the phase of the moon in your moon journal. ELA – Tuck Everlasting worksheet (back and front) Pros and Cons of living forever/timeline of major life events. Science: Moon Journal. Begin recording the phase of the moon each night beginning February 26th in the back of your science notebook. On google classroom, finish your Social Studies Aztec study guide questions. Vocabulary (blue book) Read pages 78 and 79. Complete fill in the blank on pages 80 and 81. Religion pages 63 and 65. Math Addition and Subtraction of decimals worksheet: back and front. Please bring a smock for tomorrow’s class. Using your Vocabulary (Blue Book) Unit 7 words, complete your Figurative language worksheet using as many vocabulary words as you can. You may also use the internet to find examples of figurative language you are unsure of. Math subtracting fractions with unlike denominators. Read Chapter 6 in Tuck Everlasting. On your note-taking and summarizing worksheet, complete the information for setting, characters, summary, and prediction for chapters 5-6. On google classroom, complete your “Aztecs” assignment. In your notebook, answer questions 1-7. In your Scholastic Magazine, answer questions 1-10 multiple choice on page 8. Math Converting improper fractions to mixed numbers and converting mixed numbers to improper fractions questions 1-20 in your math notebook. Don’t forget to simplify! Scholastic Magazine Writing Response: Read page 7 in your Scholastic Magazine. In your ELA notebook, write one paragraph answering the following question: Is playing video games a sport? Remember to use expanded sentences to develop a well thought out response! Study for your math quiz tomorrow! Social Studies: Aztec packet – In your social studies notebook, answer questions 2, 3, and 4 on page 180. Think about the individual you chose to research for Black History Month- In your ELA notebook, come up with the following to describe your individual: 4 characteristics to describe this person. Math Worksheet: Adding simple fractions with like denominators, converting improper fractions to mixed numbers, and converting mixed numbers to improper fractions. Study for our quiz tomorrow. Science Textbook: Read pages 30-37 and answer 1-3 on page 41 in your science notebook. Tuck Everlasting ELA Foreshadowing worksheet: Finish any questions you were not able to complete in class. Religion Workbook: Read pages 58-61 and complete the “We Respond” activity on page 61. Math worksheet: addition of fractions. converting improper fractions to mixed numbers, and converting mixed numbers to improper fractions. Numbers 9-15 and 7-15 on top and bottom of page. ELA Tuck Everlasting Questions: Complete your remaining questions for Chapters 1-4 so that we may discuss on Monday! Research an important individual for Black History Month. On Google Classroom, write a paragraph about your person’s life and legacy. Science Textbook: Read pages 24-29. In your science notebook, answer questions 1-3 on page 29. Math: Addition of fractions with like denominators and converting improper fractions to mixed numbers worksheet. ELA: In your ELA notebook, answer 8 more questions from your Tuck Everlasting Chapters 1-4 questions list. Cover your Earth Science textbook by Monday. Make sure your name is printed on the inside cover! NO HOMEWORK! HAPPY STUDENT APPRECIATION DAY! Social Studies: “The Aztecs” packet. Read pages 174-177. Answer Review questions on page 175 and 177. Math LCM and GCF review questions in notebook. Study for quiz tomorrow. Math: In your math notebook, find the LCM (Lowest Common Multiple) of the number pairs. Science “Earth Axis, Phase of Moon, Tides” worksheet. Religion Chapter 3: page 54 due on Monday, January 28th. Scholastic Book Fair visit tomorrow! Cut out and paste Tuck Everlasting character sheets into your ELA notebook. Vocab (blue book) pages 76 and 77. In your ELA notebook, answer the following question in bullet form. Give at least 4 advantages and 4 disadvantages. Question: If you had the chance to stay young forever, would you take it? Why or why not? Religion: Read pages 48-51 and complete pages 52 and 53. Science Textbook – Read pages 145-151 and answer questions 1-3 on page 151. Using your Scholastic magazine as reference, complete your Persuasive Letter assignment on Google Classroom. Your letter is due Tuesday, January 22nd. Religion Workbook pages 36-39. Complete the Chapter Test on page 42: Due Monday. Study Unit 6 (Vocabulary Workshop) Unit Test on Tuesday, Jan 15th. Isaac Newton (2 paragraphs) due Monday. Don’t forget a cover page! You may submit your assignment on Google Classroom. Science Textbook – Vocabulary Review on page 118. Match the terms with the correct definitions in your science notebook. Also define air resistance and friction. Science Spin Scholastic – Amazing Adaptations worksheet. On a separate piece of paper, write two paragraphs to answer the “Take It Further” writing prompt at the bottom of the worksheet. Writing Response – In your ELA notebook, answer the following question in one paragraph: In The Island of the Blue Dolphins, do you think Karana chose a good location to build her house? Why or why not? If you do not think it was a good location, where would you have chosen to build your shelter? State your opinion and support it with reasons from the text as well as with your own ideas. In your science notebook, create a chart with 3 columns for each of Newton’s Laws. For each law, create three real life examples. Have a joyous and blessed holiday! Complete your final draft of your Newton’s Law illustration on copy paper. Make sure your spelling and punctuation is correct. Due tomorrow. Science Textbook: Page 119 Questions 1-3 in your science notebook. Vocab Unit 5 Quiz Thursday – Use each vocabulary word 1x in a sentence in your ELA notebook. Newton’s Law illustration due tomorrow. Make sure your illustration states which law you are covering, a description of the law, and a description of what your drawing depicts. You may use Google Slides tonight to review your “How to Survive” Presentation (Due tomorrow). Make sure you have notes and are ready to present. Social Studies Packet (Olmec and Maya) page 173: Questions 5 in SS notebook and “Link to Science” Paragraph on loose leaf. Religion workbook: Read pages 155 – 159. On page 158, read the “We Respond” at the bottom of the page. Create your own prayer and type it up. We will pray together on Monday and then hang our prayers up in our hallway in celebration of Advent. Using vocab (blue book) unit 4, create one sentence of your own for each vocabulary word. Social Studies packet. Answer review questions from pages 169-171 in your social studies notebook. Read Social Studies packet on The Olmec and Maya and complete the lesson 2 note worksheet. Study your lines for the Christmas play! In your ELA notebook, answer the Question of the Week on page 89 and Question 1 on page 100. ELA Reading Street page 102 – On loose leaf, complete the Writing Prompt. Writing an Invitation. Follow the model on page 103. Blue Vocabulary workbook pages 42 and 43. Make a Venn Diagram in your ELA notebook. Topic: Life as an NNL player vs. life as a white baseball player during Satchel Paige’s lifetime. ELA Reading Street pages 132 and 133. Newsletter article writing prompt on looseleaf. May be neatly handwritten or typed. Must be at least 2 paragraphs. Be prepared to present tomorrow. Finish researching for your NNL player and bring in your research tomorrow. Be prepared to finish your google slides presentation. Complete your biography about the Catholic saint you chose and submit on Tuesday, November 13th. Blue Vocabulary Workshop: pages 31, 32, 34, and 35. Do not do the writing prompt at the bottom of page 35. Go Math! pages 199 and 200. Do not estimate at the top of page 199. Answer all other questions. Science Vocabulary: Find the science vocab definitions and paste each box into your science notebook. Study for: Comparing and ordering decimals quiz on Friday, November 2nd. Complete questions a – k “comparing and ordering decimals” in your math notebook. Social Studies textbook page 73: Choose one topic from the “Write About History” box and answer on looseleaf. Be prepared to present your ideas to the class. Must be at least 1 paragraph. Don’t forget to use expanded sentences and details. Social Studies packet due Monday. ELA textbook: In your ELA notebook, answer questions 1 and 2 on page 130. Science Textbook: Read pages 182-193 and, in your science notebook, answer questions 1-3 on pages: 185, 189, and 193. Go Math! workbook pages 166 and 167. Research a Catholic saint. Find 8 facts about your saint and write them down in your religion notebook. Don’t forget to bring a bag of candy for our trick-or-treaters! Inspirational quote in the back of your religion notebook. Study for tomorrow’s math test: Adding and subtracting decimals, place value of decimals, “first and last name” of decimals, and exponents and powers of ten. Study for Thursday’s vocabulary test. Use Sadlier Connect website to review Level Blue – Unit 2. 4.) In the future, scientists expect humans to live on Jupiter, Mars, and Pluto. They calculated that 1.34 million people will live on Jupiter, 1.18 million people will live on Mars, and 0.30 million people will live on Pluto. Will more people live on Jupiter or on Mars and Pluto COMBINED? 5.) It rained for two days in a row in Ireland. Rainfall measured 0.24 inches and 0.39 inches. What was the total rainfall over the two days? Study for tomorrow’s Thunder Rose Exam Part II: Writing portion, vocabulary, and subject and predicate identification.
) Jeremy competed in a 50-meter freestyle swimming event. His finishing time was 31.26 seconds. What is the value of the digit 6 in Jeremy’s time? Write the “first and last name” of the following numbers. Then write the place value of the italicized digit. Using your Thunder Rose vocabulary handout, write one sentence for each of the following words: veins, lullaby, pitch, thieving, constructed, branded, daintily, resourceful, devastation. Write one sentence for each word in your ELA notebook. Answer math word problems 1-3 in your math notebook. You will have part 1 of your Thunder Rose assessment (reading comprehension) on Thursday, October 18th. Part 2 of your Thunder Rose assessment (Vocabulary, written response, and simple and complete subjects and predicates will be on Tuesday, October 23. Current Events: Please print your article and summarize in a paragraph or by using the “who, what, when, where, why, and how” outline. Find and write your weekly inspirational quote in the back of your religion notebooks. Please bring back all tests and quizzes signed (mandatory) and with test corrections (optional.) Signed tests are counted towards your grade. Good job testing this week! Thank you all for working so hard! Have a magical weekend! Find and write down an inspirational quote in your religion notebook. Current events: Find read a current events article and summarize it using the who, what, when, where, and why format. Find and write down an inspiration quote in the back of your religion notebook. Write down five questions you would ask if you had a chance to sit down and interview God. Type or neatly write your personal narrative essay. Include a cover page with a picture, title, and author (you!). Complete decimals chart in notebook. Organize decimals from least to greatest. Go Math! workbooks pages 150 and 151. Vocabulary books pages 20 & 21. Finish your early peoples diorama. Attach an index card or small piece of paper describing your scene. Make sure your index card begins with a proper heading. Math questions 1-6 in math notebook. Study for exponents and powers of 10 quiz tomorrow. Use your Personal Narrative graphic organizer to write an introduction and have your prewriting ideas listed in your ELA notebook so that you will be focused and organized when we begin writing our first draft in class tomorrow. In your introduction, be sure to hook your reader! We can hook our readers by using onomatopoeia, dialogue, a question, or an interesting setting description. Write your introduction to your personal narrative on a piece of loose leaf with a proper heading. Math questions 1-8 in notebook. Write in expanded form and solve. Show your work. Study for exponents and powers of 10 quiz on Wednesday. Study for Plot from the notes and handouts in your ELA notebook. Quiz on plot will be on Wednesday, 9/26. Blue Vocab book pages 16-19. Continue working on your Social Studies diorama due Friday, 9/28. Begin brainstorming ideas for your Social Studies diorama. Possible groups you can research and base your project on are: The Mound Builders, the Anasazi, Inuit, Aztecs, Inca, Maya, Iroquois, Cheyenne, or Hopi. Your ideas should be recorded in your Social Studies notebook. Our dioramas are due Friday, September 28th. Math problems 1-12 in math notebook. Show all your work. Complete page 14 in religion workbook. Complete Math Exponent Chart using the examples we did together in class. Study for our Red Kayak test tomorrow. Review your notes in your ELA notebook. Study character, plot, the vocabulary from the story, and the 4 types of sentences we learned about. Cover your Reading Street textbook with contact paper or a book sleeve. Go Math! workbook pages 25 & 26. Red ELA Writer’s Workbook pages 42 & 43. Study for Red Kayak test on Thursday! Use the outline given out today as a reference for what will be on the test. Great work on your charity proposals today. You all did a wonderful job! Research up to 2 charities you would like to hold fundraisers for. Write a proposal on loose leaf to present to the class on Monday. Your proposal should be a paragraph which answers the following: Who does this charity help, how do they help, what is their charity rating, and why you think this charity is important. Below are the links to the charity rating websites we used in class. Try to choose charities with at least an A- rating overall. Don’t forget to bring in an inspirational quote! Have a fun weekend! I’m very proud of all of you. We had a great first full week together. See you on Monday! Science Safety Poster due tomorrow!! Go Math! workbook pages 7 & 8. Begin brainstorming ideas for your science safety poster project due Friday, September 14. In your ELA notebook, write your vocabulary words 3 times each and use each in a sentence. Math: Place Value Review worksheet. Type or neatly write your final draft of your “The Best Part of Me” poems. 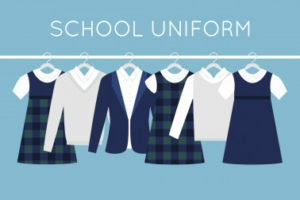 • ALL BOYS IN GRADES 5-8 MUST WEAR A WHITE BUTTON DOWN SHIRT AND SCHOOL TIE. nature are not allowed. The same policy is in effect on Dress Down and Gym days. Students may bring a small bag for water and other necessities for tomorrow’s trip. Students may not bring cell phones. If time permits, we may be able to visit the gift shop. If you would like to send some money with your child to visit the gift shop, you may do so. It was wonderful meeting you on back to school night. For those of you who were unable to attend, I have sent home an informational packet for your reference which includes a photo release form. Please sign and return this form by Monday, September 17th. Furthermore, please email me at jruddy@olmercyca.com and include your child’s name in the subject line. I will then send you a link to join the two communication apps we will be using this year: Class Dojo and ClassTag. Welcome to Mrs. Orlov’s 5th grade class! I am so excited for the upcoming year! I can already tell we are going to have a wonderful school year together full of exciting adventures. 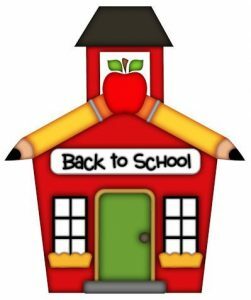 Please be advised that we dismiss at 2 pm every Wednesday. 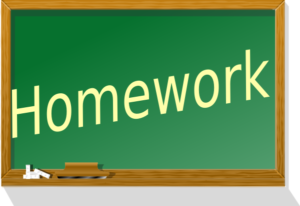 All homework, projects, and tests will be posted here on our class webpage. Find an inspirational quote and write it down in the back of your religion notebook. Be prepared to share this quote with the class and be able to explain what this quote means to you and how you think we could live by this quote in our classroom and school community. Each week, we will vote on an inspirational quote to be our “quote of the week” which we will live by.